(Underground Health Reporter) If you’ve traveled to Mexico, you’ve heard the warnings: “Don’t drink the water!” “It’s not sanitary!” “You’ll get the runs!” These warnings aren’t just for tourists to heed; locals need to be wary of contaminated water in Mexico as well. Tap water in the United States fares only a bit better, but in Mexican villages, many locals don’t have the money for filtration systems. A new study conducted by U.S. and Mexican researchers, however, is shedding light on the filtering properties of a popular Mexican spice—cilantro! If further research confirms that cilantro purifies water, then we may just have an extremely inexpensive, all-natural filtering agent on our hands! Mercury and lead poisoning promote autoimmune dysfunction, which manifests as joint and kidney diseases such as rheumatoid arthritis, as well as circulatory and nervous system disorders. Scientists have long been aware of cilantro’s detoxifying properties. Chemical agents in cilantro bind to toxic metals, wresting them free from tissues and flushing them out of the body. Individuals with mercury poisoning have been shown to recover from symptoms like disorientation when consuming large quantities of cilantro. This new study explores the principles of a cilantro heavy metal detox and applies them to water. Researchers studied the Tule Valley, a region used as a dumping ground for waste from Mexico City. Farmers in the Tule Valley use contaminated water to irrigate crops. 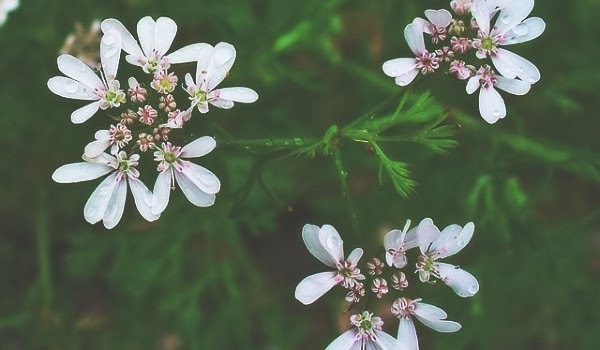 Findings show that of all the plants studied—from flowers to cacti—cilantro was the most bioabsorbant. A bioabsorbant material is an organic substance often present in plants that, when dried, acts as a filtering agent. Cilantro proved to be an excellent filtering agent of lead and nickel, and researchers are currently studying if cilantro can help eliminate other heavy metals such as arsenic and mercury. According to the study, a cilantro water cleanse may be a cheap solution to water filtration that doesn’t detract from the people’s food source. It also offers a natural, protective solution for water purification no matter what country you’re from. Scientists theorize that the outer cell wall of cilantro is ideal for capturing metals. You can use cilantro to purify water by filling a tube with dried, ground cilantro. When the water runs through the tube, the cilantro absorbs the metals. An easier home solution for a cilantro water cleanse is to fill tea bags with dried cilantro. Place the tea bags in water for a few minutes and voila! Filtered water! Out of cilantro? It’s rumored dandelion and parsley have the same effect!